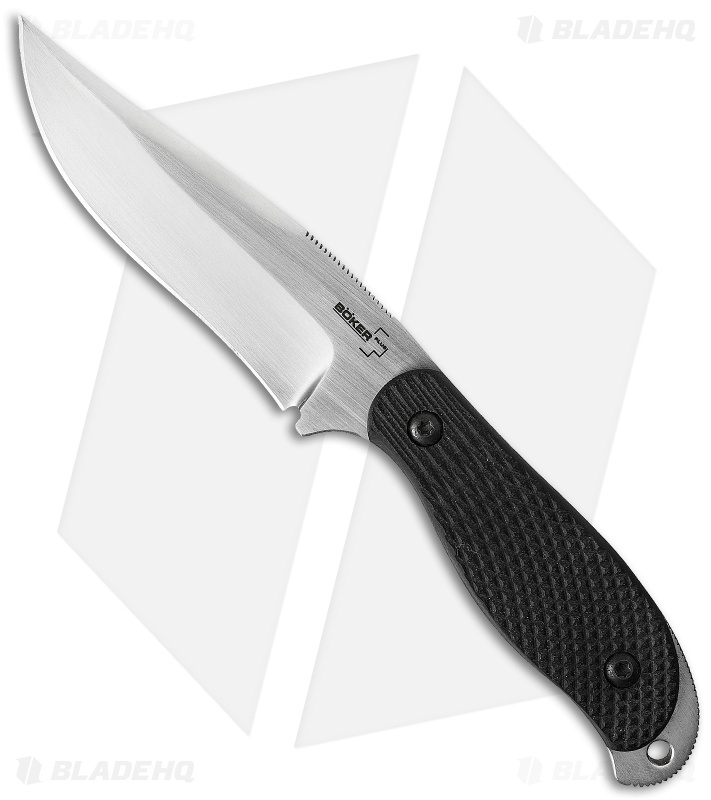 The Boker Plus Manaro SM-10 Fixed Blade Knife is a Sal Manaro design. 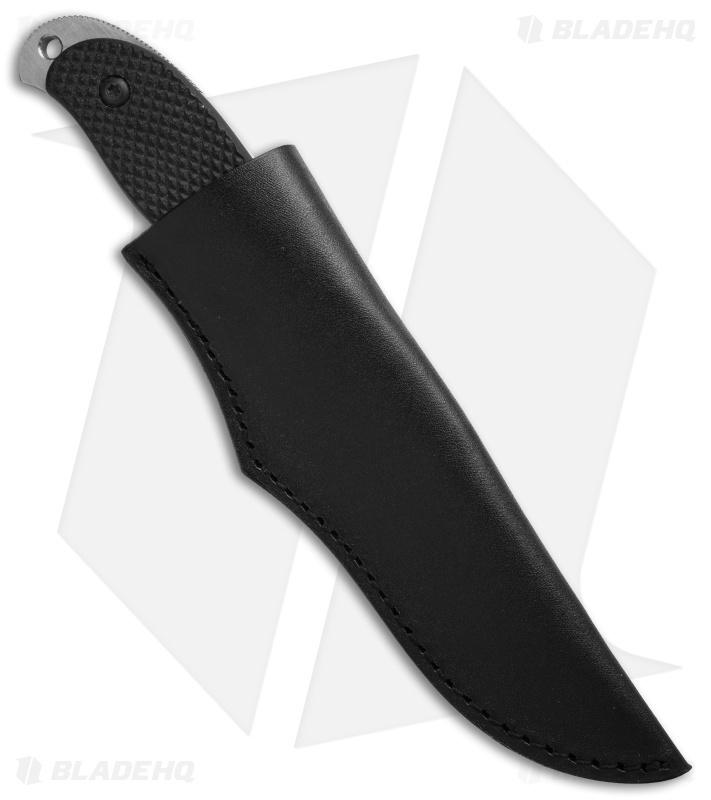 Although this is a flat design, the SM-10 feels very good in the hand, and the slight recurve blade profile provides excellent cutting performance. Milled G10 handles. The fine milling on the handle end and the grooved thumb rest support multiple grip positions. The satin blade is made of 440C. Comes with leather sheath with stainless steel clip.